Now here is a Nessie book cover I haven't seen before. It's the paperback version of the more familiar hardback book cover from Ted Holiday's "The Dragon and the Disc". It's a nice bit of artwork, though the creature on the cover could not be described as a "Nessie" but more like the titled "Dragon" (Holiday referred to the Loch Ness Monster as a Dragon or Orm). It has to be said that the 1970s were the zenith of cool Loch Ness Monster book covers. Some serious effort went into producing imaginative covers of prehistoric or mythical monsters to capture the eye of the public as they browsed the well stocked "Mysteries" section of their local book shop. This particular paperback was published by Futura in 1974. Now, I don't know about other readers' collections, but a scan of my shelves showed a few titles from Futura, Sphere and Target books. These publishers were not averse to putting out various titles on the likes of UFOs, monsters and so on. That was on top of the titles from more well known publishers such as Penguin and Corgi. Looking at these covers reminds me of how my own collecting of Nessie books has progressed. First you buy the titles, for example, Dinsdale's "Loch Ness Monster". That will give you just about everything you need. But that is only the first edition. 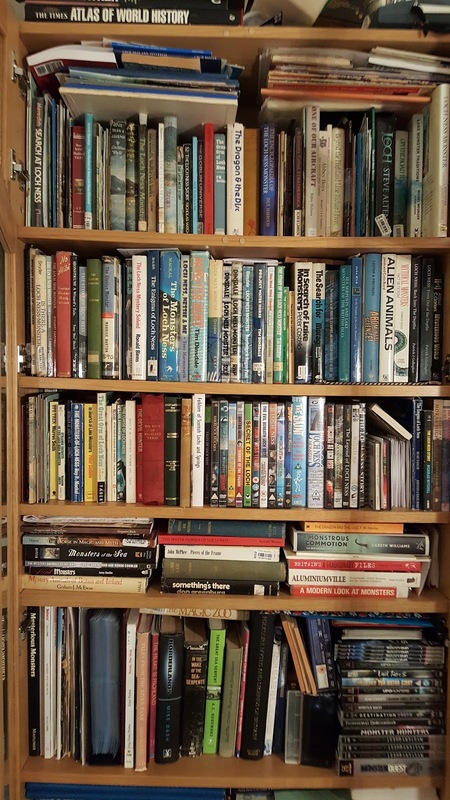 Subsequent to that, authors will republish their titles as revisions in which they alter some of the book's contents according to their changing experience or thinking plus they may add new photographs, sighting reports and so on. So, Dinsdale's book underwent three revisions in 1972 and 1976 and 1982, but Holiday's book was never revised. Then we have the reprints in which none of the content is revised but the general format of the book changes. We see that in our two Holiday books as it went from hardback to paperback and the cover art was also changed. Dinsdale's book also underwent one reprint in 1966 (I do not own a copy). One could argue every revision is a reprint, but not every reprint is a revision. For me personally, I have practically all the titles. I think I have most of the revisions, but I probably do not have most of the reprints as that requires a bit more motivation since you are not getting much more for your money. You can browse the various artistic covers on my booklist. 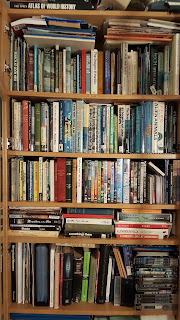 You can also have a look at my current bookcase below (with some titles not in the picture)! 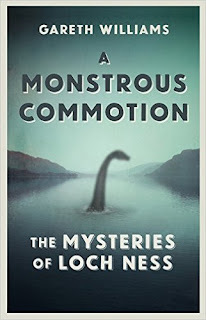 Long time Loch Ness researcher, Henry Bauer, got in touch with me recently to pass on his review of Gareth William's book to me. Henry has been involved in Loch Ness Monster research for over fifty years since he first picked up Tim Dinsdale's "Loch Ness Monster" in 1961. Quite possibly, apart from perhaps Rip Hepple, he is the longest involved researcher of Nessie alive today. Henry is the author of the well known book, "The Enigma of Loch Ness" and believes the creatures are a large, formerly (before last Ice Age) marine species, related either to plesiosaurs or to leatherback turtles. In his review, Henry is not so favourably disposed to Gareth's book as others have been and detects the overt influence of sceptical advisers. So, feel free to download his PDF review at this link and offer your comments below.